Welcome to the temporary home of etcd! As a member of the CNCF family of projects, etcd will soon be getting its own home at etcd.io. Until that's ready, you can find the documentation for etcd here, and you can read about the move to the CNCF from us, from Red Hat, and from the CNCF. Including projects build on etcd, client bindings and more. 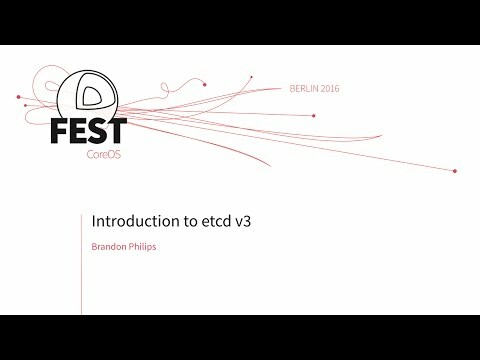 etcd is written in Go which has excellent cross-platform support, small binaries and a great community behind it. Communication between etcd machines is handled via the Raft consensus algorithm. Latency from the etcd leader is the most important metric to track and the built-in dashboard has a view dedicated to this. In our testing, severe latency will introduce instability within the cluster because Raft is only as fast as the slowest machine in the majority. You can mitigate this issue by properly tuning the cluster. etcd has been pre-tuned on cloud providers with highly variable networks. Logs replicated to each follower in the cluster.